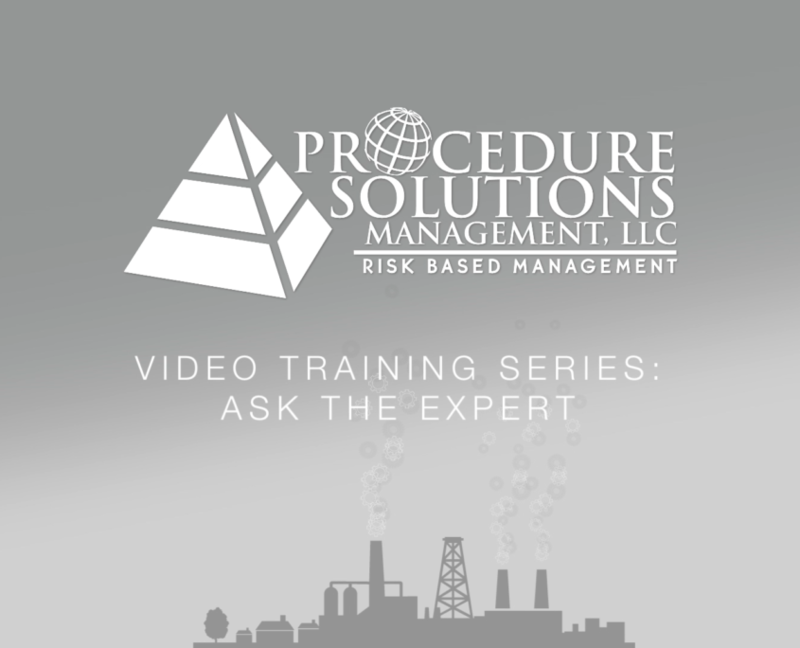 Procedure Solutions Management, LLC – Video Training Series – Ask An Expert – How Can Managers Improve Human Performance? Human Performance is more than a catchy phrase. It is essential to the success of any company and improving human performance should be the goal of any successful manager. But, when it comes to managing a procedure program and/or a team of writers, it can be difficult for managers to identify the most important elements for improving and ensuring optimal human performance. How do they ensure that they are setting their writers up for success? For more information on Technical Writing, subscribe to our blog using the link to the right of this post. Or, visit our services page for more information on our staffing, training, or consulting services. https://proceduresolutionsmgmt.com/wp-content/uploads/2017/02/Ask-An-Expert_LG.png 1080 1920 James Bennett http://proceduresolutionsmgmt.com/wp-content/uploads/2013/04/PSM_logo_100px-300x117.jpeg James Bennett2017-09-27 16:12:042017-09-27 16:42:00Ask an Expert - How Can Management Improve Human Performance? Ask an Expert – Is Human Factored Writing Applicable In Non-Nuke Industries? Procedure Solutions Management, LLC – Video Training Series – Ask An Expert – Is Human Factored Writing Applicable In Non-Nuke Industries? PSM’s leadership is known for their work in helping to establish standards for human factored writing throughout the nuclear industry. Part of this process involved reviewing information from organizations/industries, like NASA and the Airline Industry, that had already successfully implemented similar standardization. Best practices were gleaned and ultimately, the Nuclear Industry was able to develop and adopt a set of guidelines for its controlled documents that was tailored to meet its needs. Are the principles, standards, and lessons learned by the nuclear industry applicable to other industries? Procedure Solutions Management has successfully applied the knowledge gained from developing nuclear industry standards to clients in a variety of industries, including: Pharmaceutical, Fossil, Petro-Chemical, and many more. Furthermore, we believe this information and the lessons learned are applicable wherever you have human beings referencing documents to perform work. For more information on how we can design a program to meet your company/industry’s needs, visit our services page. Or, for more information on Technical Writing, subscribe to our blog using the link to the right of this post. https://proceduresolutionsmgmt.com/wp-content/uploads/2017/02/Ask-An-Expert_LG.png 1080 1920 James Bennett http://proceduresolutionsmgmt.com/wp-content/uploads/2013/04/PSM_logo_100px-300x117.jpeg James Bennett2017-06-14 18:30:072017-06-14 18:41:52Ask an Expert - Is Human Factored Writing Applicable In Non-Nuke Industries? 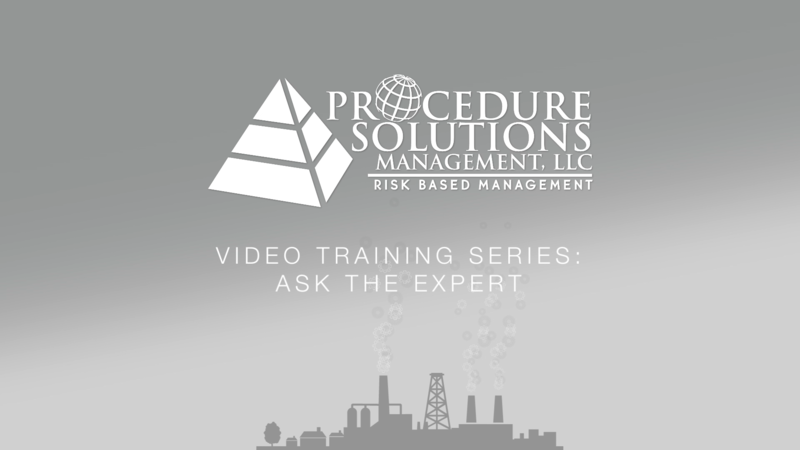 Procedure Solutions Management – Ask An Expert – What do you mean by, Human Factored? Ask An Expert – Episode 2 – What do you mean by, “Human Factored”? Procedures have been around for a long time and there has been a lot of emphasis on making sure that they were “technically correct”. As things have evolved and the workforce has changed, industries have come to realize that the way in which end users read/follow the procedures is just as important as making sure the content is accurate. But, what does that really mean and how is it achieved? Does it matter where a warning is inserted? How does “Human Factored” affect the end user? https://proceduresolutionsmgmt.com/wp-content/uploads/2017/02/Ask-An-Expert_LG.png 1080 1920 James Bennett http://proceduresolutionsmgmt.com/wp-content/uploads/2013/04/PSM_logo_100px-300x117.jpeg James Bennett2017-02-15 17:13:372017-02-15 17:13:37Ask An Expert - What do you mean by, "Human Factored"
What do procedures, work instructions, policies, and guidance documents have in common? Amongst other things, they are all human performance tools designed to help people and companies be more successful in work that is performed by following the direction provided. Most of us would agree that these human performance tools are essential in a variety of industries. But, what exactly is a procedure? What are the essential elements that can help define and identify them? Overall, we hope you find this information useful. Check it out and let us know what you think using the comments section below.